Like you see, Pokemon Pilar/Xare post includes parts: Description (Story/Plot included in this part), Screenshots, Images, How to download. If some trailers are not available, we will add later. 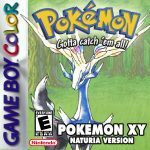 A Pokemon ROM/Game hack by javcdark using Pokemon Gold Codebase/Engine in English. It is available to download now. The last update happened on January 24, 2018. Pokemon Pilar/Xare: Maybe the author of Pokemon Pilar/Xare is a nostalgic person. He wants to enjoy, create new things based on Pokemon Gold – his favorite game. So, let’s check this hack to see what can he bring to us. This hack takes the Gods and Time theme. Long long ago, there was an ancient civilization. They worshipped Pokemon as their Gods. They were trying to create a device which can use the power of Pokemon to control the time. After trying so many times and failed… they decided to abandon everything, abandon their stupid ideals. One day, they suddenly found an unconscious girl in their land. That girl was holding a strange Pokemon which it could control the time. So, all the villagers of this civilization started to search these two, but never found them. Time flies by. Back to present. You are a young trainer who is aiming to become an archaelogist. The place where you are living is Ciudad Itza and it is next to an ancient ruin. You will set out your new adventure to hunt, to search for relics in this ruin. Maybe the author of Pokemon Pilar/Xare is a nostalgic person. He wants to enjoy, create new things based on Pokemon Gold – his favorite game. So, let’s check this hack to see what can he bring to us. You can select your gender at the beginning. Three new types: Fairy, Light, Eterno. Many new Pokemon and even Fakemon.